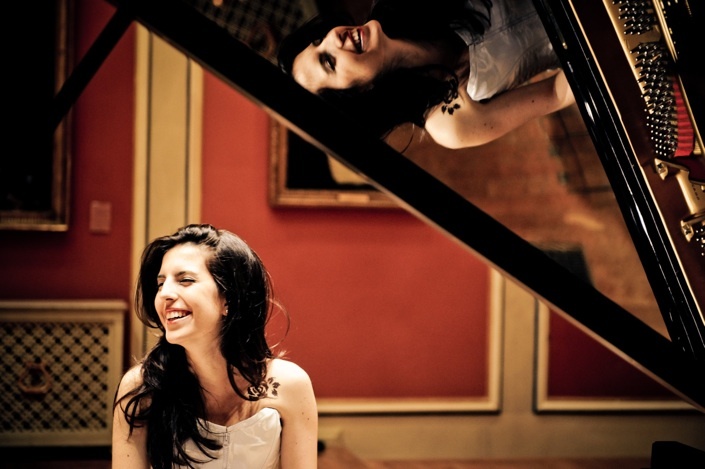 AyseDeniz recently completed her Masters in Piano Performance at Royal Academy of Music in London with Merit, under the tutelage of Christopher Elton, receiving the Maud Hornsby Award and completing the LRAM Teaching Certificate. In 2009, she finished her Bachelors Degree at Eastman School of Music (Rochester NY) in the studio of Douglas Humpherys, where she received Howard Hanson and Clements Scholarships as well as the John Celentano Excellence in Chamber Music Award. 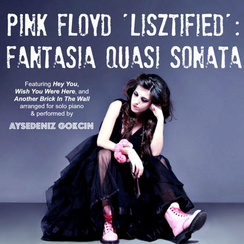 AyseDeniz made her concerto debut when she was nine, with Gordion Chamber Orchestra playing J.S. Bach’s Keyboard Concerto No. 5. At thirteen, she had already performed as a soloist with various orchestras under conductors including Ibrahim Yazici, Fahrettin Kerimov, Antonio Pirolli, Cem Mansur, Engin Sakpinar, Ertug Korkmaz, Rengim Gokmen, Vladimir Sirenko, and Kirill Karabits. Upon receiving an invitation from Nikolai Petrov, she has performed in Kremlin Palace (Moscow, Russia). She has also appeared in L’Eglise (Verbier, Switzerland); Duke’s Hall, Kings Place (London, UK); Central Park of Culture and Resort Open Air Hall, Lysenko Hall (Kiev, Ukraine); ‘PepsiCo Hall’ Texas, ‘Kilbourn Hall’ New York, ‘Harris Hall’ Colorado, ‘Lehmann Hall’ California (USA); Bellapais Antique Monastry (Northern Cyprus) and most of the important art centers in Turkey, including the Sureyya Opera House during the 38th Istanbul International Music Festival. She attended prestigious summer festivals including Verbier Academy; Music Academy of the West, Aspen Music Festival and School, PianoTexas, Goslar Konzerterbeitswochen, Tel-Hai and Beijing International Music Festival and Academy, studying with renowned piano pedagogues such as Menahem Pressler, Jerome Lowenthal, Arie Vardi, Yoheved Kalpinsky, as well as Lang Lang. Having been invited by the world renowned Bach interpreter Rosalyn Tureck to Spain, AyseDeniz had the privilege to study with her for a semester during her last years. AyseDeniz has appeared on various TV channels, radio stations and in magazines including CNN Turk, NTV, TRT, The Voice of Russia and Vogue Turkey. She is currently working on solo and recording projects, as well as giving concerts to raise money for charities around the world.